There are several ways to extract information from the web. Use of APIs being probably the best way to extract data from a website. Almost all large websites like Twitter, Facebook, Google, Twitter, StackOverflow provide APIs to access their data in a more structured manner. If you can get what you need through an API, it is almost always preferred approach over web scrapping. This is because if you are getting access to structured data from the provider, why would you want to create an engine to extract the same information. Sadly, not all websites provide an API. Some do it because they do not want the readers to extract huge information in structured way, while others don’t provide APIs due to lack of technical knowledge. What do you do in these cases? Well, we need to scrape the website to fetch the information. There might be a few other ways like RSS feeds, but they are limited in their use and hence I am not including them in the discussion here. You can perform web scrapping in various ways, including use of Google Docs to almost every programming language. I would resort to Python because of its ease and rich eocsystem. It has a library known as ‘BeautifulSoup’ which assists this task. In this article, I’ll show you the easiest way to learn web scraping using python programming. For those of you, who need a non-programming way to extract information out of web pages, you can also look at import.io . It provides a GUI driven interface to perform all basic web scraping operations. The hackers can continue to read this article! Urllib2: It is a Python module which can be used for fetching URLs. It defines functions and classes to help with URL actions (basic and digest authentication, redirections, cookies, etc). For more detail refer to the documentation page. BeautifulSoup: It is an incredible tool for pulling out information from a webpage. You can use it to extract tables, lists, paragraph and you can also put filters to extract information from web pages. In this article, we will use latest version BeautifulSoup 4. You can look at the installation instruction in its documentation page. BeautifulSoup does not fetch the web page for us. That’s why, I use urllib2 in combination with the BeautifulSoup library. 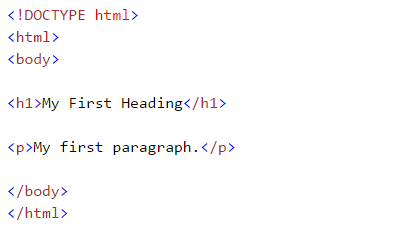 If you are new to this HTML tags, I would also recommend you to refer HTML tutorial from W3schools. This will give you a clear understanding about HTML tags. 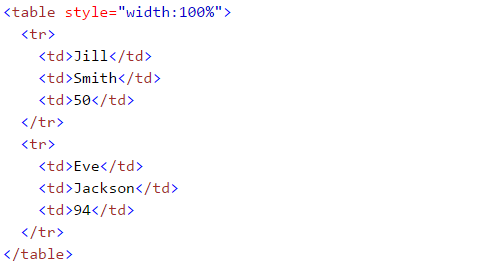 Above, you can see that structure of the HTML tags. This will help you to know about different available tags and how can you play with these to extract information. soup.<tag>: Return content between opening and closing tag including tag. Find all the links within page’s <a> tags:: We know that, we can tag a link using tag “<a>”. So, we should go with option soup.a and it should return the links available in the web page. Let’s do it. Above, you can see that, we have only one output. Now to extract all the links within <a>, we will use “find_all(). Above, it is showing all links including titles, links and other information. Now to show only links, we need to iterate over each a tag and then return the link using attribute “href” with get. Find the right table: As we are seeking a table to extract information about state capitals, we should identify the right table first. Let’s write the command to extract information within all table tags. Now to identify the right table, we will use attribute “class” of table and use it to filter the right table. In chrome, you can check the class name by right click on the required table of web page –> Inspect element –> Copy the class name OR go through the output of above command find the class name of right table. Above, we are able to identify right table. But, why can’t I just use Regular Expressions? Code written in BeautifulSoup is usually more robust than the one written using regular expressions. Codes written with regular expressions need to be altered with any changes in pages. Even BeautifulSoup needs that in some cases, it is just that BeautifulSoup is relatively better. Regular expressions are much faster than BeautifulSoup, usually by a factor of 100 in giving the same outcome. So, it boils down to speed vs. robustness of the code and there is no universal winner here. If the information you are looking for can be extracted with simple regex statements, you should go ahead and use them. For almost any complex work, I usually recommend BeautifulSoup more than regex. In this article, we looked at web scraping methods using “BeautifulSoup” and “urllib2” in Python. We also looked at the basics of HTML and perform the web scraping step by step while solving a challenge. I’d recommend you to practice this and use it for collecting data from web pages.